Did you know that there is a variety of different products offered on Architectural Depot? There are plenty of items for the interior of the home that can range from beams to wainscot paneling. From awnings to planter boxes, we have a diverse collection of products for the outside of the home! You see pictures on social media sites like Pinterest and Instagram with such cute homes and the loveliest of gardens. The issue is not everyone has a place to dedicate to a whole garden. The solution to a dull, drab garden-less home? Planter boxes that you can hang right below a window. These are perfect for any size home! Rick from Saint Petersburg, Florida just sent us his finished project that featured the Nantucket window box on his home. He chose to purchase a black window box which created a beautiful contrast between the color of the home and the box itself. By purchasing the box with installation brackets, Rick let us know that it was “very convenient” and he was glad with his purchase at Architectural Depot. 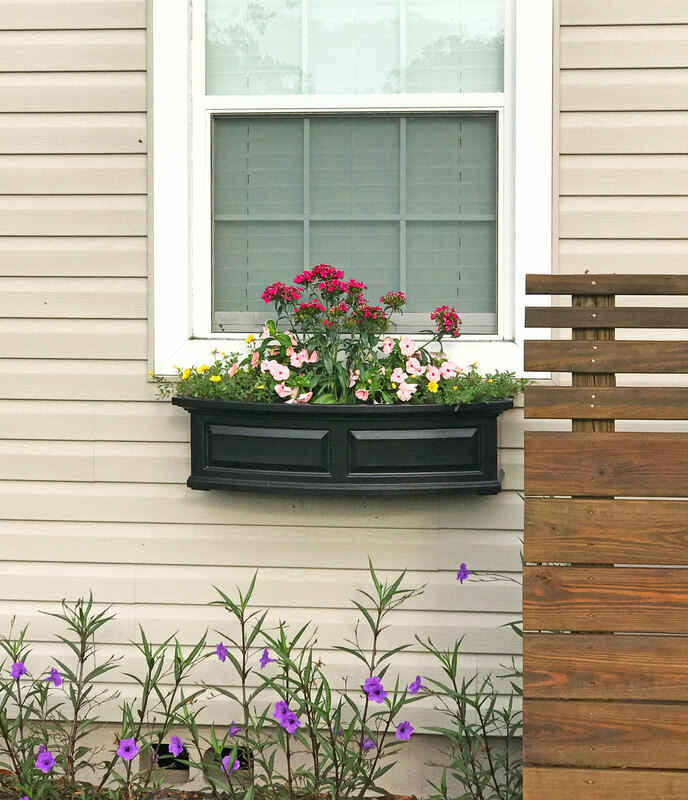 The new Nantucket window box features a bowed front, raised panel design, pronounced crown molding detail and built-in overflow drains. It includes a sub-irrigation water system that helps the root growth. There are several sizes available for purchase along with different color options. The best part about these window boxes is that it comes with a 15 year limited warranty. To see the entire collection of planter boxes offered online, click here!